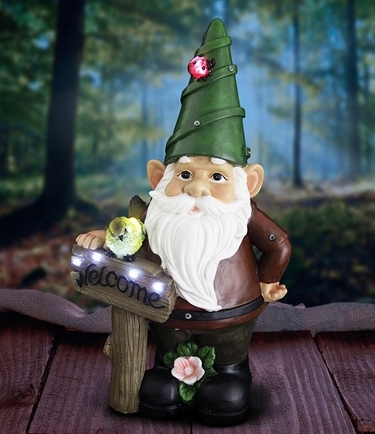 This cheerful Red Gnome welcomes all to your garden with his solar powered marquee welcome sign! Weather resistant and perfectly sized, this garden gnome will add a touch of lighthearted joy and whimsy! Makes a perfect gift for the nature lover and a wonderful addition to any home! Size: 12.25" x 9.5" x 22"H.